A well-made historical drama with great performances and even greater costumes, but manages to come off as a bit meh. I’ve said it before that I’m not usually a fan of period films that focus on the politics of British royalty. All the quibbling, backstabbing and royal shenanigans revolving around claims to the throne don’t really do it for me. That said, after being pleasantly surprised and thoroughly enjoying The Favourite, I thought that maybe my tastes for these costume dramas had evolved and that I would find a new found love for these types of films when I went to see Mary Queen of Scots. Set in the 16th century, it follows the return of Mary Stuart (Saoirse Ronan) to Scotland after being widowed in France, and all the political jousting between her and people of influence in both Scotland and England, to determine whether or not she can have a valid claim to the throne of England, currently being ruled by Queen Elizabeth I (Margot Robbie). I’m sad to report that, despite being a very well made film with solid performances, great costumes and wonderful locations, Mary Queen of Scots ended up being quite boring, to the point I was beginning to question whether or not this story was interesting enough to be told. 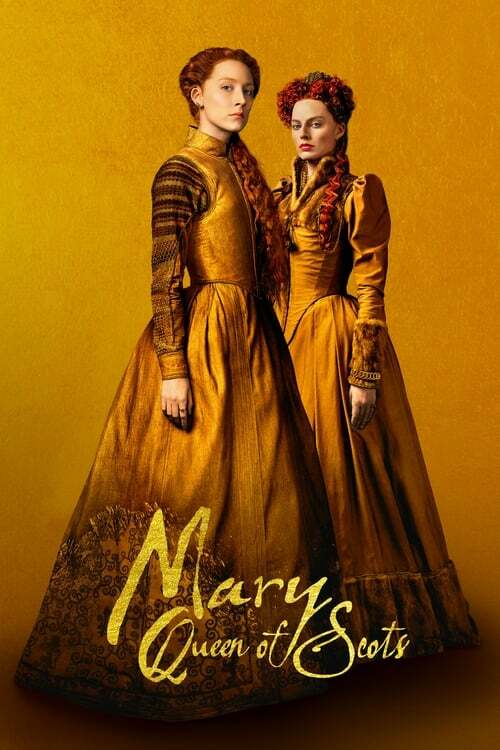 Helmed by first-time film director Josie Rourke (National Theatre Live: Saint Joan), Mary Queen of Scots introduces us to Mary Stuart upon her return to Scotland after being widowed in France and stays with her half-brother, James, Earl of Moray (James McArdle). There is already some friction between Mary and James due to Mary’s ambition for the English throne and the fact that she is Catholic in a country that is mostly Protestant. In fact, her being a Catholic is a major point of concern for the Church of Scotland and the English nation and is one of the driving reasons for people opposing her rule. It isn’t long before Mary’s half brother James becomes just one of many adversaries attempting to overthrow her Scottish rule. One critical issue that needs addressed quickly is who Mary will marry now that she is a widow. Mary needs an heir if she is to have any claim to the English throne as a childless Queen Elizabeth I poses a threat to the English aristocracy. While Queen Elizabeth I wants Mary to marry an Englishman of her choosing so she can keep tabs on the Scottish queen, Mary has different plans, instead choosing Henry Darnley (Jack Lowden), who turns out to have personal issues and ambitions of this own that don’t align with Mary’s plans. This all plays out over the course of two hours with all the plotting, betrayal and righteous claims of inheritance you’d expect for this type of film with a bit of pen-pal-ing between Mary Stuart and Queen Elizabeth I. It was all a bit of a yawn for me to be truthful – powerful people fighting over power, only with better costumes. Meh. Even though the story was a bit of a let down, the performances were strong – particularly from the two queens. Saoirse Ronan commands the screen with her resilient, ambitious and defiant portrayal of Mary. Despite her small frame she still manages to come across as powerful, confident and with purpose – a person of leadership. Yet she was also able to be vulnerable and naive which helped round her out as a relatable and believable human being. Then we have Margo Robbie, unrecognizable thanks to an amazing transformation into Queen Elizabeth I, playing her as a person who understands and relates to her Scottish adversary. Obviously, the Queen knows what it’s like being a female leader surrounded by dangerous men seeking further power and displays both respect and jealousy over the achievements of Mary, despite the efforts to bring down the Scottish Queen. This respect and jealousy, however, doesn’t stop her from making the hard decisions that need to be made – for she is also a strong leader. Overall, I couldn’t help but feel bored watching Mary Queen of Scots. Not much really happens, other than nobles talking about marriage, nobles talking about queens needing to sire children, nobles talking about God and nobles worrying about whether or not Mary can stake a claim to the English throne. When I broke down the main points of the story afterwards I wondered if this story was actually interesting enough to be put to film. Maybe that contributed to the let down I felt with the ending. But that doesn’t mean it isn’t worth watching as I’ve admitted that this isn’t my type of movie – so much of my grievances with this are probably just personal taste. The acting is good. The costumes and makeup are incredible. The film is beautifully shot with wonderfully scenic lush countrysides and lots of scenes set in the impressive interiors of castles. If you are looking to be transported to another time and place, and be drawn into the politics of 16th century monarchs, then this is a film worth seeing.